One of life’s common experiences that becomes a daily adventure for expats is the thrill known here in the Netherlands as “boodschappen” … grocery shopping! NICE TO MEET YOU, AND WHICH DETERGENT DO YOU USE? You might think this unlikely to become an adventure but believe me, until you have wandered the aisles of a foreign supermarket and successfully checked off items on your list, you haven’t experienced the frisson of fear or the exhilaration of success! When I first moved to the USA, I was overwhelmed by the sheer size of the supermarkets. The aisle dedicated just to cereals involved stretching exercises and a good pair of sneakers! The whole exercise of filling my trolley/cart took me hours, partly due to the fact that I needed a map to find my way around but mostly due to having to learn new products and brands, such as which laundry detergent to choose? What on earth is cheese in a can? Which of the 200 types of crisps/chips will my kids want? All these things seem so small, yet on that first visit I felt close to tears … so alone and almost bolted. The moment that turned it from being an overwhelming experience to one of humor was when I found a small amount of British items stacked on a shelf – some Cadbury’s chocolate, Irish teabags and a packet of digestive biscuits. My first reaction was quickly tempered from joy to a chilling sense of reality. Here were “my” foods next to the Mexican and Jewish sections … I was a minority! Of course I was soon indoctrinated and the amount of favorite British goods that were shipped over in suitcases became less and less, although teabags and Cadbury’s chocolate were always vital. I felt at home wandering the aisles of Stop&Shop and soon could dispense with the store plan completely. I never did purchase cheese in a can though! The irony of all this is that now, as I live in the Netherlands, I occasionally long for those vast supermarkets and the immense selection of goods …. life experiences change us. I put my groceries in a winkelwagon and weighed my own fruit and vegetables, using pictures to identify which was which and then printed out a bon sticky label on the bag, a zakje. What a trusting method. After a few years, I was able to understand labels, and find most things on the shelves, although occasionally the translator app comes in very useful. For example, tandpasta is not a delicious Italian food, it’s toothpaste and slagroom (always entertaining to Brits) is whipped cream. Foods are different and interesting wherever you travel. • pap – ready made porridge and lots of bread and cheese just to name a few basics. The cheese alone can be baffling. Jong cheese is just four months old; belegen 18 months old and oude is 12 months old, with several in-between. Unlike children it’s difficult to spot the difference but they each have a place on a Dutch table. I work on the assumption that like humans, babies (jong) are sweet and innocent, extra belegen are sassy like teenagers and oude, rather like a grumpy old man can have a kick! In the summer raw herring is available to purchase and in winter snert. No this is not the byproduct of a bad cold but a warming bowl of pea and ham soup! baker, and the candlestick maker with the weekly visit to the wonderful markets. I do still miss the brightly lit, colorful, familiar American supermarkets but can visit Sainsbury’s in the UK for the taste of home … or Carrefore in Belgium or Leclerc in France for that European selection. Ask me what I totally detest about shopping in a Dutch supermarket and it’s the lack of packing help! 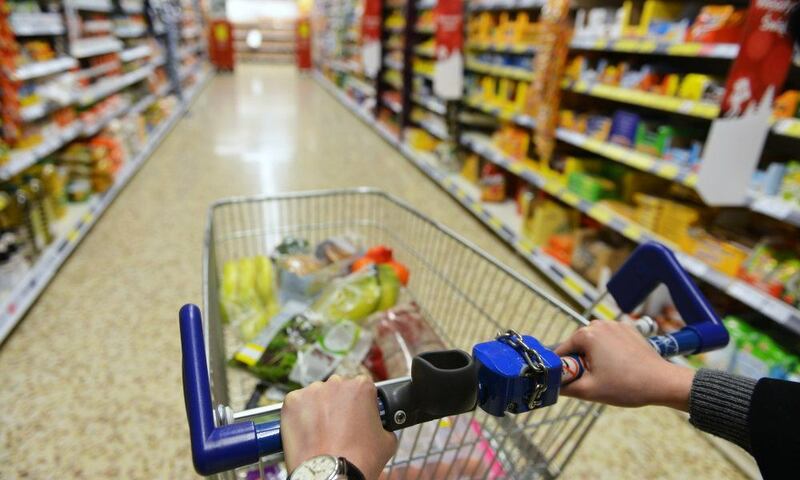 In the UK the smiling cashier will help you pack your groceries, or find someone to help. In the US there is always someone at the end of the checkout packing your purchases away. In the Netherlands there is no help, no matter how much you have spent or how big and busy the supermarket is. Picture this … the cashier scans and moves your goods down to the bagging area while you start to pack your stuff in your reusable (of course!) bags. When the area becomes too full, does she/he stop to help or slow down? You pay whilst looking frantically at the pile of goods yet to be packed. Now comes the time where you break out in a sweat, as the next person’s shopping is scanned the cashier rams the divider onto your section causing your goods to be crushed sideways as well, and you are sharing the area with another shopper. Obviously the Dutch expect nothing different and seem to take this calmly and in their stride. I’m the one who is by this time stressed, frantic and sweating! So, after you’ve wandered around your familiar cheery American or British grocery store, and as you watch your shopping being packed into bags and loaded into your cart by someone, spare a thought for me. And thank those kind folk profusely for helping you make what is a boring chore just a little less stressful. Me, I’m the one leaving Albert Heijn with a red face – sweat stains on the back of my t-shirt, struggling with a cart full of overloaded, badly packed bags – and heading to the nearest bar for a calming glass of something reassuring!